If you're trying to choose security software for your PC, you'll find that there's an overwhelming amount of it to sort through, with different types and levels of coverage. Not all of it is equipped to deal with ransomware, so you may need supplemental protection even if you already use an antivirus or backup solution. In this article, we give you our recommendations for the 5 best anti-ransomware tools to protect your PC. Ransomware is a particularly scary type of malware. It can encrypt files or even your entire hard disk, making your most valuable information and precious photos impossible to recover without paying a sum of money. 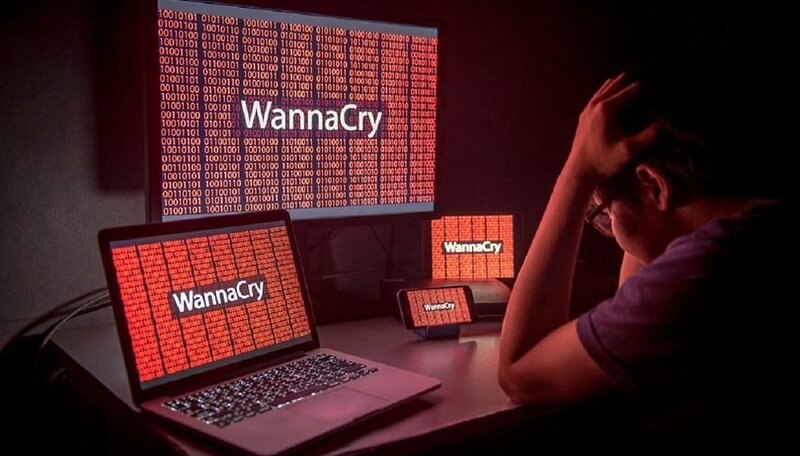 It can infect your computer through a Trojan which you may have downloaded by accident or, as in the case of WannaCry, it can spread without any user interaction at all. With new strains of ransomware popping up all the time, you should definitely be taking measures to protect your PC against known threats and zero-day attacks. Otherwise, you might find yourself faced with having to choose between paying a hefty ransom or losing your most important files. To protect against ransomware in 2018, you should have an antivirus installed, along with some kind of protection against ransomware specifically, which may or may not be built into your antivirus. In addition, you should have a comprehensive backup solution which includes cloud storage, because that may be the only way to guarantee your files will be recovered after a ransomware attack if the antivirus and ransomware protection fail. Acronis Ransomware Protection actively monitors your system to detect suspicious processes and stop them in their tracks. Once ransomware is detected, you will then be notified, and can choose to block it permanently. The software protects against known threats, like WannaCry and Petya, plus never-before-seen attacks. If ransomware does manage to encrypt your files, you can restore them from a local cache on your hard drive or from the cloud. Acronis gives users 5 GB of cloud storage for free with the Ransomware Protection software, and more storage space can easily be purchased. Obviously, Acronis' focus on data protection and data recovery can help in other unfortunate situations, too. Potential threats which aren't immediately recognized as ransomware, but are merely suspected to be malicious, are labelled as Monitored in the software. These processes have to be checked manually and either marked as blocked or trusted, which can be a bit tedious. Since the software is meant to be used alongside an antivirus, you'll also need to use something like Avast for broader protection against viruses and other types of malware. If you're in need of broad protection and you like to have a lot of features at your disposal, Avast has multiple solutions for you. Avast offers a popular free antivirus product and multiple paid levels of protection to choose from. The free version offers real-time virus, malware and ransomware detection, along with home Wi-Fi scanning and password management. The Ransomware Shield feature, available in the paid versions, goes a step further by walling off certain folders to keep ransomware and potentially dangerous applications from altering, deleting or encrypting your valuable personal files. Sadly, the extra layer of protection of the Ransomware Shield feature doesn't come with the free version of Avast. It costs $59.99 per year for a single PC for the next step up, which is the Internet Security version of the software. Nevertheless, if you don't want to pay anything, you can get basic virus and ransomware protection with the free version of Avast, and then supplement it with Acronis Ransomware Protection, one of the free ransomware-focused tools on this list, which will backup your most important files locally and in the cloud. Bitdefender's Anti-Ransomware Tool is free and non-intrusive. It prevents certain families of ransomware from being able to encrypt your files, including CTB-Locker, Locky, Petya, and TeslaCrypt. But, it works a lot differently from most anti-ransomware software. It works as a sort of vaccine, by tricking these families of malware into thinking your PC is already infected. As such, it doesn't have proactive, zero-day protection like others do. So, you'll want to get active ransomware protection from other products in addition to this one. There are several options on this list which would be appropriate, or you can go for a paid option from Bitdefender itself. For $79.99, which covers three devices for a year, Bitdefender Internet Security 2018 has Advanced Threat Defense, which detects suspicious behavior and blocks ransomware, while the Multi-Layer Ransomware Protection protects files from encryption, among its many other features. Cybereason's RansomFree software detects and blocks ransomware by identifying its behavior. This approach is informed by the company's analysis of tens of thousands of ransomware variants and their behavior patterns. The software places bait files on your computer and sits in the background to monitor the behavior of potential ransomware. It's important to note that if you delete these files accidentally, it could reduce your protection against ransomware. RansomFree detects and then suspends suspicious activity before informing you with a pop-up. From there, you can stop and clean the threat with one click. If the ransomware tries to encrypt your whole hard disk, rather than just certain files (as is more common), behavior-based protection like RansomFree may not be of much help. For example, PCMag found that RansomFree was unable to stop Petya in their review. Using an antivirus is still necessary with this tool. RansomBuster uses behavior-based detection, and at the first sign of suspicious activity, it makes a backup of any file that the ransomware is trying to encrypt or otherwise modify. Then, if it determines that it was indeed ransomware trying to hijack your files, it stops the process and restores your files from the backup. In addition to the behavioral analysis and the limited restoration features, it also has a Folder Shield which blocks unauthorized programs from accessing files in, for example, your Documents folder. In theory, all of this sounds great. But, the backup functionality is only triggered when suspicious behavior is detected. Backing up your all of your files, both locally and in the cloud, would be much better, so you can rely on your ability to restore your data instead of taking chances. Acronis Ransomware Protection offers this type of backup solution for free. To be truly protected against ransomware, you need combination of software: an anti-virus, a comprehensive backup solution and anti-ransomware protection. We recommend using the antivirus of your choice (Avast has a good free option) along with Acronis Ransomware Protection to supplement it with an extra layer of ransomware protection, plus local and cloud backup (5 GB free) for your most important files. With this combination of software, you don't have to pay a dime to protect yourself against a ransomware attack on your PC. For more tips on how to protect your PC against ransomware click here. And, don't forget to let us know what you think in the comments below! This article was written in cooperation with Acronis.